Let's see if I'm smart enough to do this hehe. :cry: I'll be 19 in a few days can I cheat and make it 2033? My pin is Pin 2024: WDW - Millennium Village Pavilion Egypt 2000 flag. <<<<< I too got 2043 and the car looks somewhat similar! Would have been funny if it said Radiator Springs instead of Autopia. 02-21-1990. 2+21=23. My age is 23. 23+23=46. 46 + 1990= 2036. Pin #2036 is....pin #2036 doesn't exist? Its skips from 2035 to 2037 on pin pics. Fun game anyway tho . Pin 2030 is no longer valid because it was deleted. Mine is also 2030 (January 15th, 1985). I was going to check Disney Pin Place to see which pin is 2030, but right now the site is down because of bandwidth being exceeded. 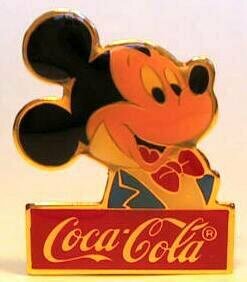 This is a neat pin! The math for this game is flawed because for everyone the year you were born + your age is either 2013 (if your birthday hasn't happened yet) or 2014 (if it has). So really we're just adding up month and day and adding 2013 or 2014. Not very random. My number is 2034: Disney's Wide World of Sports - Softball. Which is oddly fitting, considering that I wear a Greek fisherman's hat... It avoids the math and increases the pool of pins you get!